Tyre review data from 111 tyre reviews averaging 74% over 1,435,774 miles driven. Positive - Good wet and dry handling, short wet braking distances. Negative - Long dry braking distances, poor aquaplaning resistance. Positive - Good results in the dry and wet, short wet braking. 2016-10-03 - What does the "91V" or 91W at the end of the tyre spec signify? The number is the load rating, the letter the speed rating of the tyre. 2016-09-05 - What should the tire pressure be? The tyre pressure for the Cinturato P7 is vehicle and load specific. The correct tyre pressure for your vehicle can usually be found on a sticker in the door shut of the driver's door, or in the manufacturer's handbook. I've had these on since my car was new I've went through 6 tyres in total and covered 106000 miles at the moment they are the run flats too.... These are probably my favrioute tyre for all round performance I've used that's why I keep using them. Have you driven on the Pirelli CINTURATO P7 tyre? Please help millions of other drivers make an informed tyre choice and pick the correct tyres for their car by submitting your review of the CINTURATO P7. Good tyre, grip well in dry, short braking, last longer than average. Overall satisfy with the performance & wear. Downside is only noisy. You can feel the bumper and yellow line or bumpy road. A little bit pricey too. These tyres were brand new fitted to a car I purchased and matching all round. I have found both dry and wet grip very good in these tyres, and these have even managed to handle very cautious snow driving without too much bother. I do not find that these tyres need to be "warmed up" before they perform at their best. These have worn almost identically on all four corners of my vehicle although this might be helped by the spot on alignment check I had early on and ensuring the pressures are kept at correct levels. Approaching the end of their life the front tyres have started to wear a little quicker than the rears but have managed 32,000 miles of mostly motorway style cruising. These tyres have taken some battering from the horrendous state of UK roads and not had a problem until today, some debris cut my front right tire and it quickly deflated while travelling at 50mph on a motorway (average speed cameras in roadworks). Despite not noticing immediately the car still held onto the road well and was stable to drive even with a my steering wheel pulling left and right. So top marks for stability when they have suddenly deflated! I am happy with the performance of these over the last two years and I have now purchased a brand new set to replace both of my front tyres. Intially I thought the tyres were good, good grip, performed well. Seemed to be a good premium tyre. This was during the warm summer months. However as the temperatures started to fall I discovered they are not happy when cold, On a few occasions I was pulling out of a side turning in rain with tyres scrabbling for grip, spinning the wheels in a 1 litre auto car was not what I expected. On one occasion a car came around a corner towards me, whilst I was struggling to grip the wet tarmac (which was quite dangerous, and has put me off the P7). However once the tyres had done a mile and warmed a bit they were ok. In the UK they are sold as all year tyres, even if you pick up your new car in January in a blizzard, this is what is fitted, Seat UK (and other Volkswagen brands in UK) do not offer an all-season or winter tyre, on new cars, even as an option. However these are summer tyres, and quite poor in the rain when temperatures are lower. When temperatures are close to freezing 0c they are hard and don't grip. If you live in a hot country, or one where tyres are changed by season then these are great tyres. However performance in the rain is poor at temperatures below about +10c The UK can get cold rain (even in the summer) so these tyres are unsuitable for countries like UK with maritime climates. I have since discovered that Pirelli sell an all-season (but not available in the 215 / 45 R18 size that is standard wheel fitted to some Seat Arona models in UK). I simply can't recommend the P7 for use in UK as it gets hard and non-grippy unless it is a warm / hot day. Even though they are wearing well I want to get rid of them this autumn because wheelspin is too easy with them. In less than 4 years and less than 25k miles, ~ 17k on the rear, 7k on the front, the tyres are rock hard and perished, to the point cracks have appeared in the tread, and grip has reduced to next to nothing. Approximately 3.5mm of tread left. Will not buy a Pirelli tyre again. 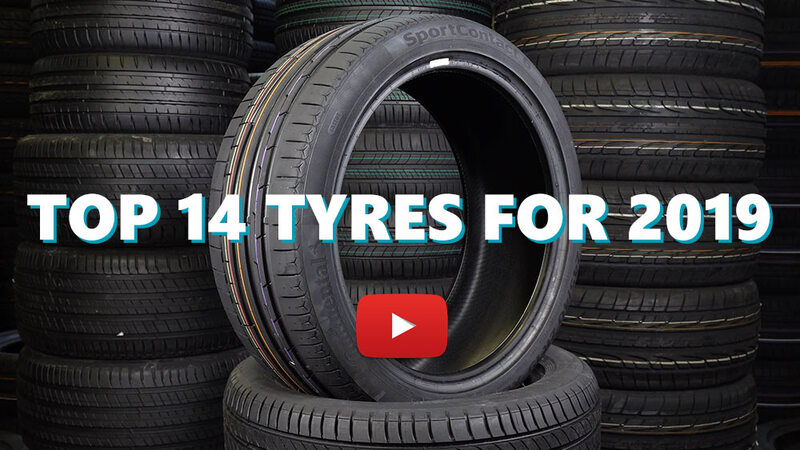 These tyres are shocking for the price you pay for them. Mercedes-Benz E350 Estate 2010. Driving conditions: Australia The Pirelli are okay at best. Dry handling is okay, wet is not much better. The car held its own at the limit, but the tyres kept feeling like they were sponges at best with any feedback. Australia has a high number of rough aggregate sealed road surfaces and the road noise on these tyres was a constant rumble like distant thunder that never arrived. On rolled bituminous roads (like in Europe) the road noise was okay. The tyre just send to melt off the car over their life. I only got 10,000 KMs out of a set of tyres front and back. Worst wearing tyres I have ever owned. Yes it's a 2Tonne E Class wagon, but at least I got 20,000kms out of the Michelin Pilot Sport 4. They didn't wear well either, but performed better everywhere else. Time to go back to the Falken ZE914. Performance and reasonable wear at least.